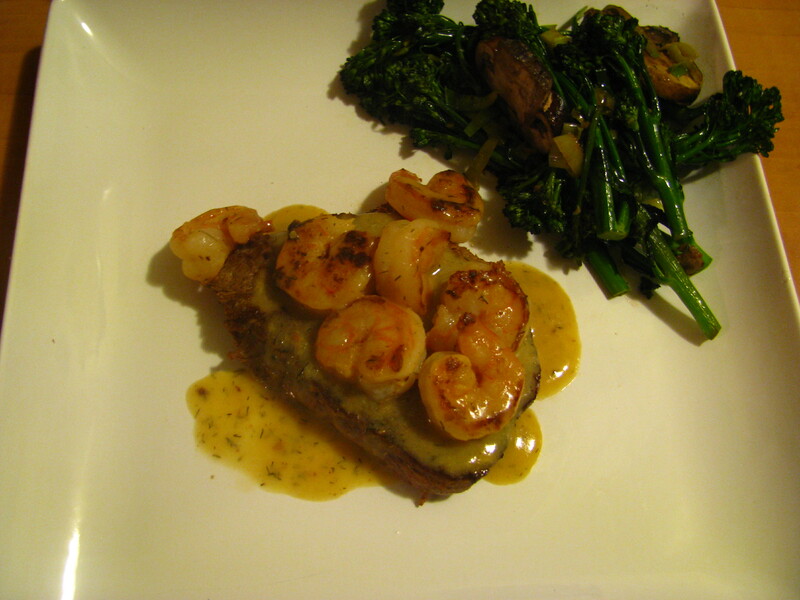 Last night for dinner I made some Filet Mignon topped with lemon butter dill sauce; with Shrimp and a side of Sauted Broccolini, Baby Portobello Mushrooms, Leeks, Garlic and Olive oil. A filling meal but yet light on the belly. The aroma of everything cooking was delish. If you haven’t had broccolini before, give it a try. It tastes like broccoli of course but there is something about that has a yummier texture. Next Post Famous Favorite Cooks! Oh my, now that is my favourite cut of steak and a real treat! You certainly treated it with respect in this beautiful dish.